Almost four year after the catastrophic floods in BiH, the state still needs help in order to accelerate recovery of certain areas and to provide the affected citizens with a normal life. In this case, the Flood Recovery Program is one of the essential activities which gathered several international organizations and local authorities. Together, they started the second phase of this important Program valued at EUR 15 mln. The program is funded by the European Union, in the amount of EUR 12,5 mln, in cooperation with the Government of Federation of BiH, the Government of Republika Srpska, municipal and city authorities and the United Nations Development Program (UNDP) in BiH. 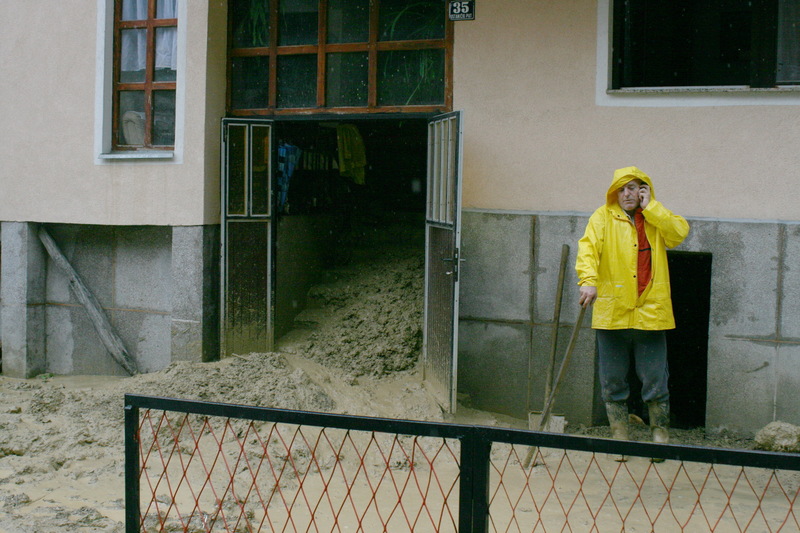 The Flood Recovery Program provides support to sustainable recovery by improving housing conditions for 2 895 vulnerable individuals whose homes have been damaged or destroyed in the 2014 disaster; and by strengthening economically 555 households through agricultural assistance, establishment of small business as well as employment in the private sector. “The EU is very committed to assist BiH in responding to the flood recovery and is the largest donors that supported the country with about 83.2 million euro to face the flood emergency in close cooperation with BiH authorities. During the next three years the contract worth 12.5 million euro aimed at the Flood Recovery Program (and co-financed by local authorities and UNDP with 1.9 million Euro) will support the sustainable recovery of flood and landslide affected communities in both entities. Approximately 2,800 people will benefit directly from this project through re/construction of their housing units that were destroyed or heavily damaged during the floods” said Gianluca Vannini, Head of Section for Social Development, Civil Society and Cross Border Cooperation in the Delegation of European Union to BiH. EU Delegation to BiH, in a press release, stressed that part of the program Public Call for Selection of Beneficiaries, which was published on October 2017, affected 3,950 households. Currently, field verification of these households is in progress and upon its completion, the final list of beneficiaries will be announced. The start of construction of new and the rehabilitation of existing households is planned for Spring 2018. Analysis of household needs will follow in order to define economical assistance packages. “UNDP and European Union have been cooperating for years in order to mitigate the effects of catastrophic floods in 2014. The first phase of the Flood Recovery Program (2014-2016) improved the quality of lives for 610,000 people. Now, we are continuing with the activities in order to provide safe housing and economic assistance to the most vulnerable who still haven’t recovered”, said Edis Arifagić, Head of Local Development Program in UNDP BiH.